We may have lot of friends on Facebook but we tend to interact more with few specific friends. One can easily view full set of interaction and things shared with specific friend using “Friendship pages” feature on Facebook. Friendship page between you and your specific friend will show things like the timeline posts you have exchanged, your mutual friends, events you both attended. It will also show common tagged photos, likes and other stuff shared by you and your friend on Facebook. 1. 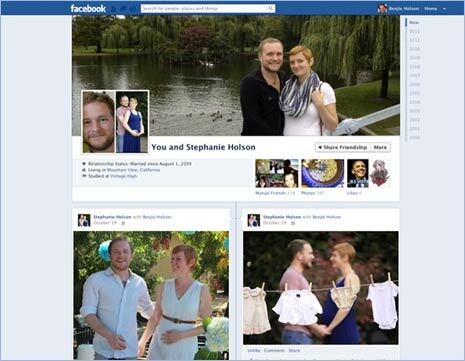 Once you have access to Facebook, open timeline profile page of your Facebook friend. On the profile page, click “down arrow” button next to Gear icon and Message option. 2. 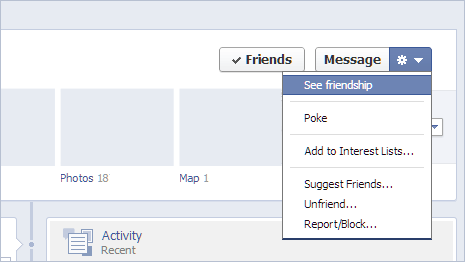 Then click on “See Friendship” option in the expanded menu. Facebook will automatically generate Friendship page displaying common stuff you and that selected friend has shared like posts, groups, likes, photos. It also display other friendship pages suggestion that you may want to explore. Tip: You can also directly access Friendship page by creating URL following this architecture [ facebook.com/yourusername?and=friendusername ]. Here replace yourusername with your Facebook username and replace friendusername with username of specific friend with whom you want to see your Friendship page on Facebook. 1. If you have listed “in a relationship” with specific friend on Facebook, then there is special way to access Friendship page of that special person in your life.